TORONTO — Robert Morris women’s hockey all-time points leader, Brittany Howard, has been named to the Team Canada roster. The 2018 RMU grad joins the main team roster for the first time in her career. The roster was released today as Team Canada revealed their roster for their upcoming series against Team USA in what has been dubbed the “Rivalry Series.” Howard has been playing for the Toronto Furies of the CWHL ever since she finished her career at Robert Morris. She has scored two goals and has seven assists so far on the season. Her goal scoring and playmaking ability made her the best player in RMU women’s hockey history, and it will be interesting to see how she performs on Team Canada. 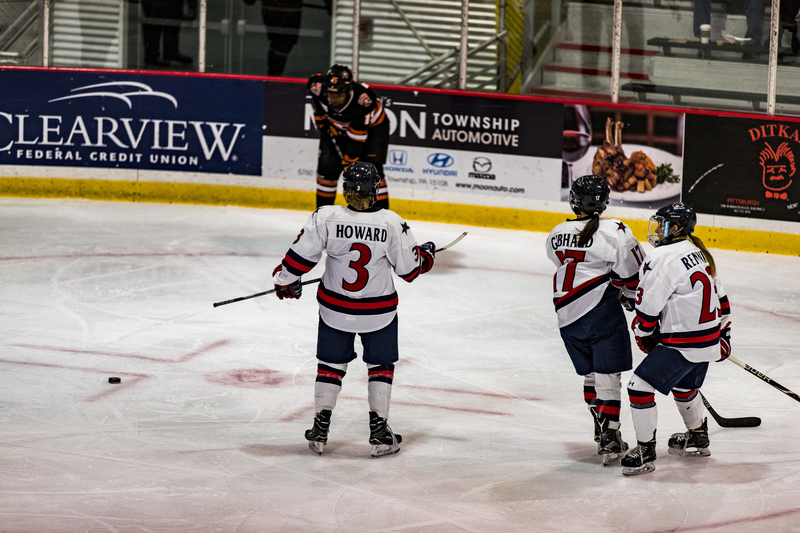 During her time with the Colonials, Howard netted 79 goals and tallied 102 assists. She was also recognized as the CHA Player of the Year twice during her tenure with RMU. Howard also found herself on the All-CHA First Team three times. Howard received countless other awards from both RMU and the CHA throughout her collegiate career. She was able to leave a lasting legacy at Robert Morris and will now look to begin molding her legacy with Team Canada.